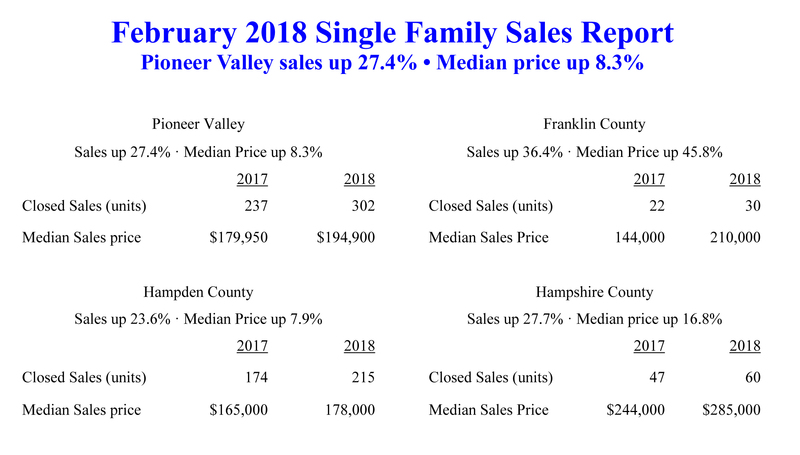 Real estate sales of single family homes in Franklin County for the month of August was up 37.9% and the median price up 3.2% compared to August of 2016. 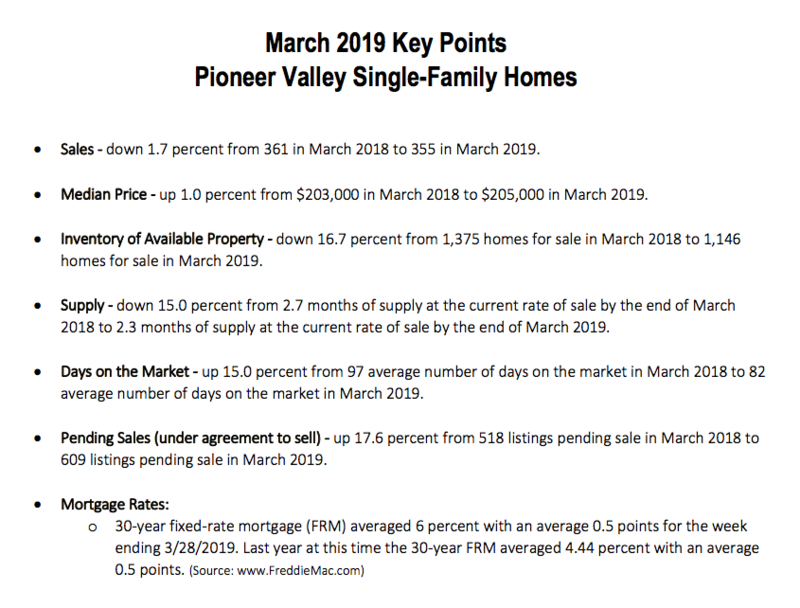 The market continues to be very busy and there is no sign of a slow down. 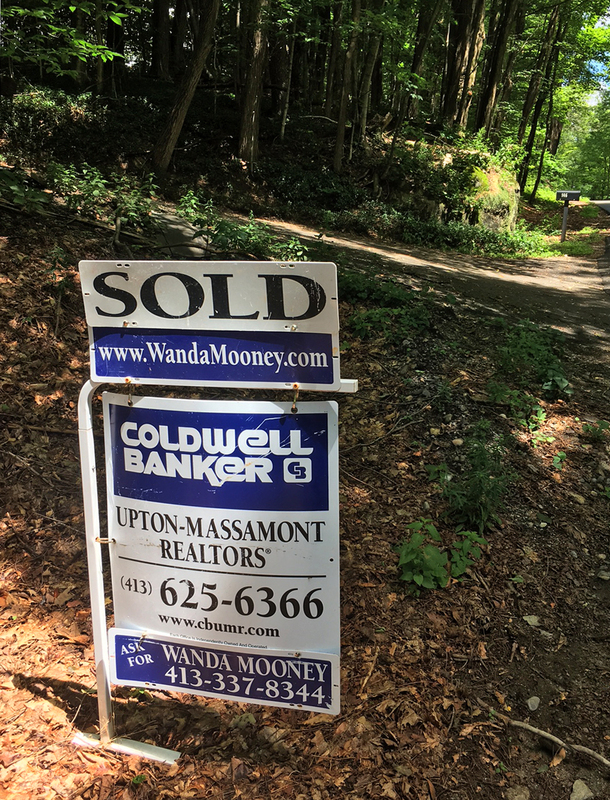 There is a limited amount of homes for sale and in some areas real estate agents are experiencing multiple offer situations. 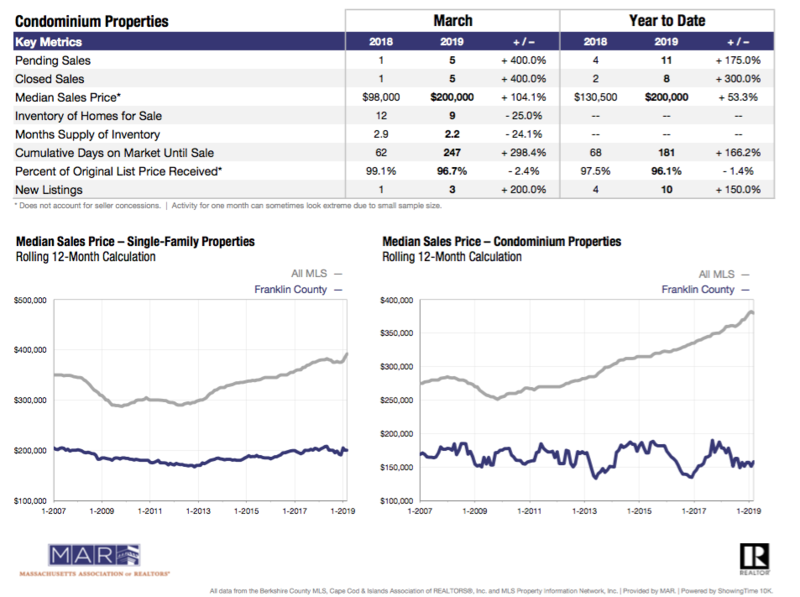 It is a great time to sell! Sales - Up 7.8 percent from 639 in August 2016 to 689 in August 2017. 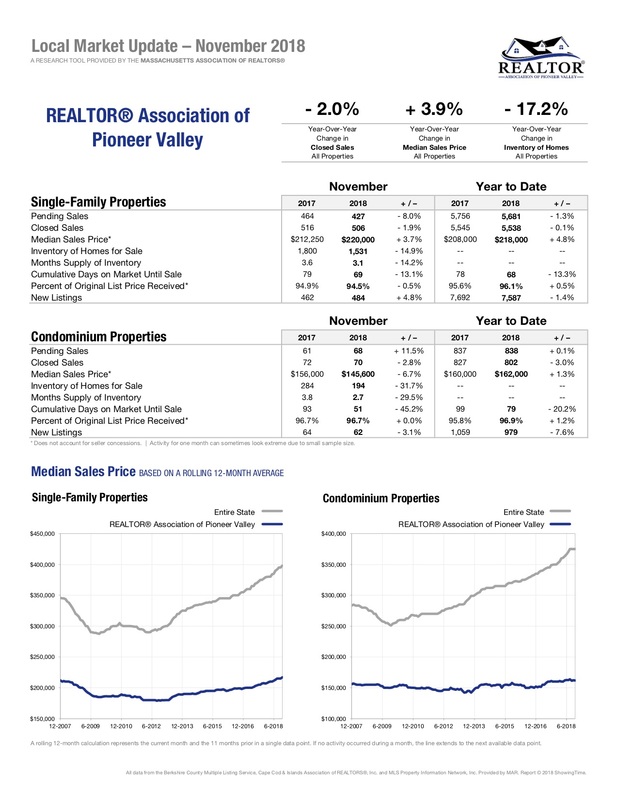 Median Price - Up 1.2 percent from $210,000 in August 2016 to $212,500 in August 2017. 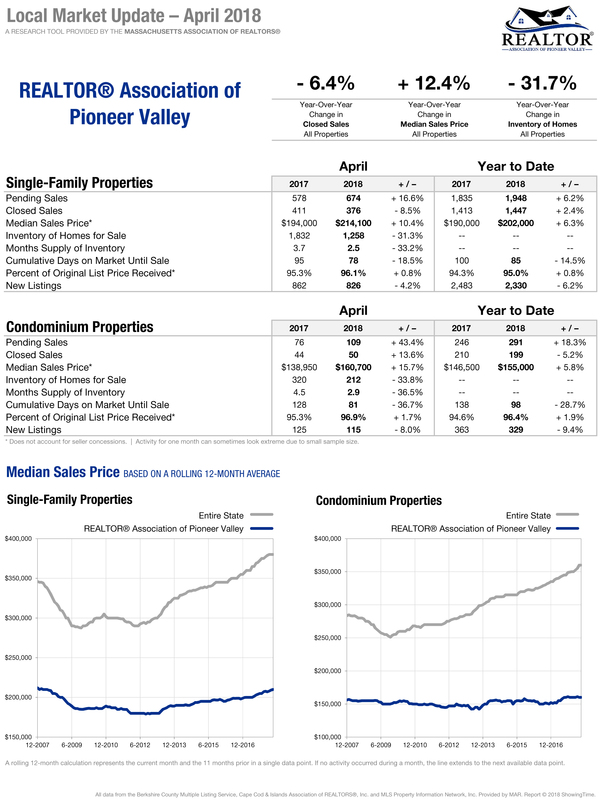 Inventory of available property - Inventory fell 25.9 percent from 2,517 single family listings at the end of August 2016, to 1,865 single family listings at the end of August 2017. 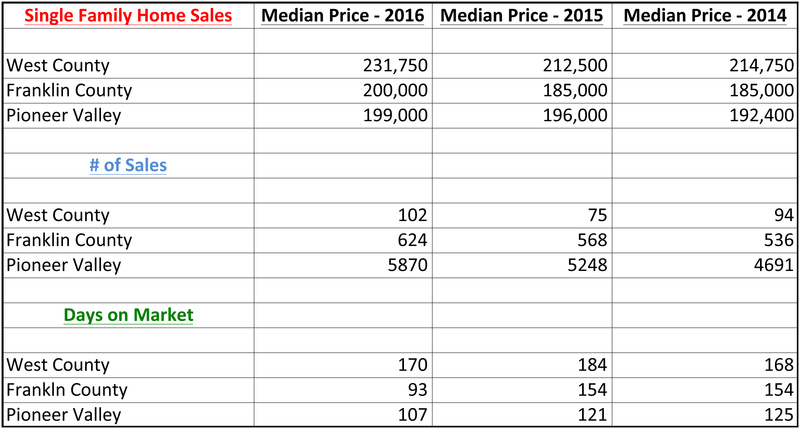 Supply - At the end of August 2016 there were 5.3 months of supply at the current rate of sale. 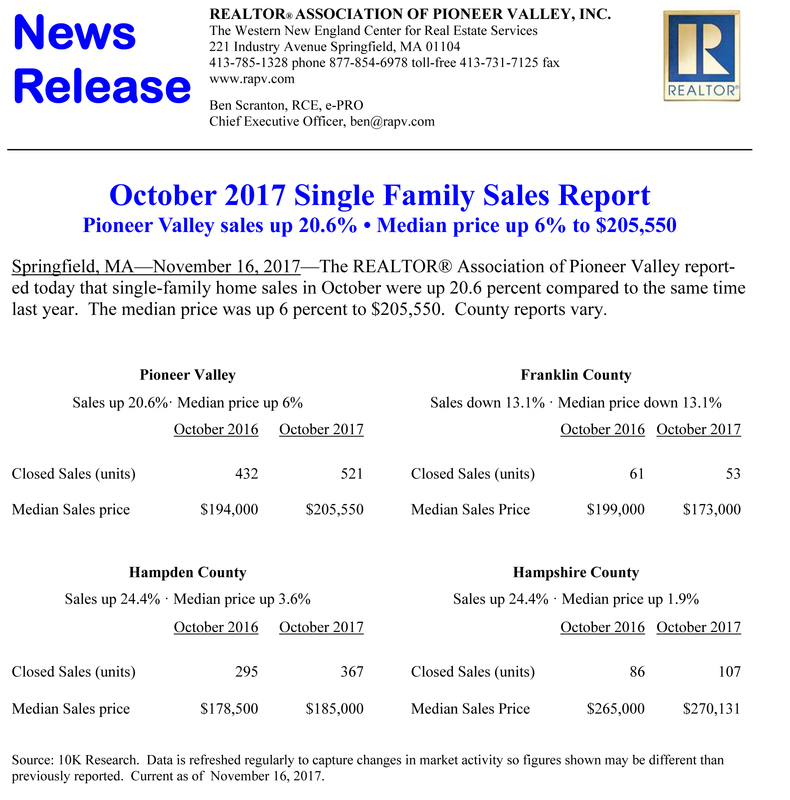 At the end of August 2017 there were 3.8 months of supply at current rate of sale. 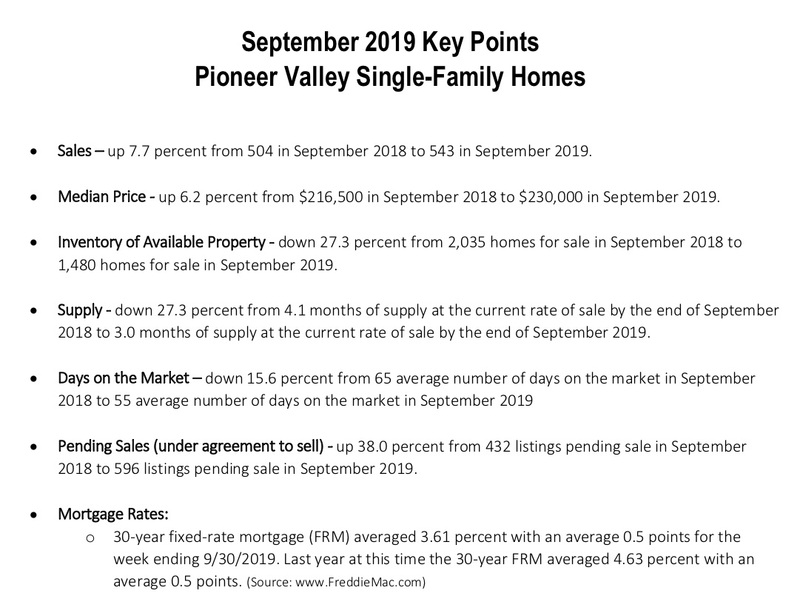 Days on Market - The average days on market dropped 27.1 percent from 88 days in August 2016 to 64 days in August 2017. 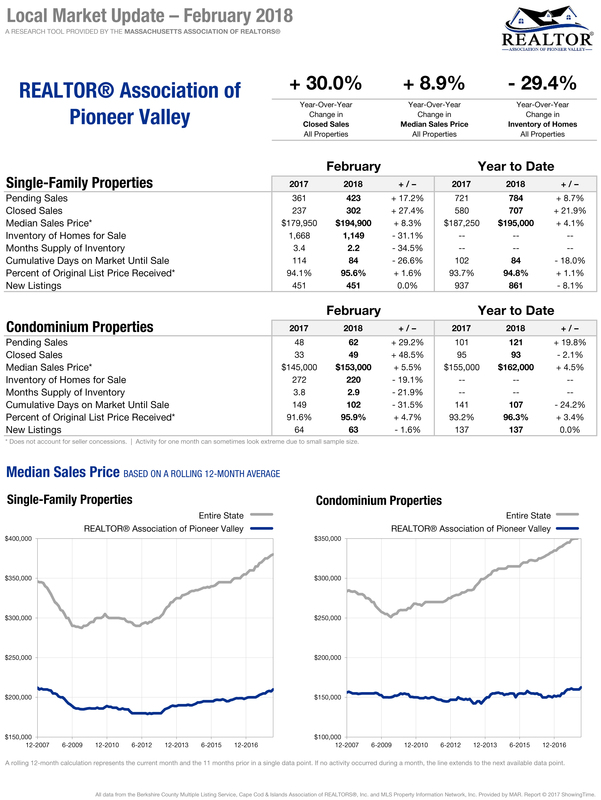 Pending Sales - Listings which are pending (under agreement to sell) are up 12.9 percent from 533 in August 2016 to 602 in August 2017. 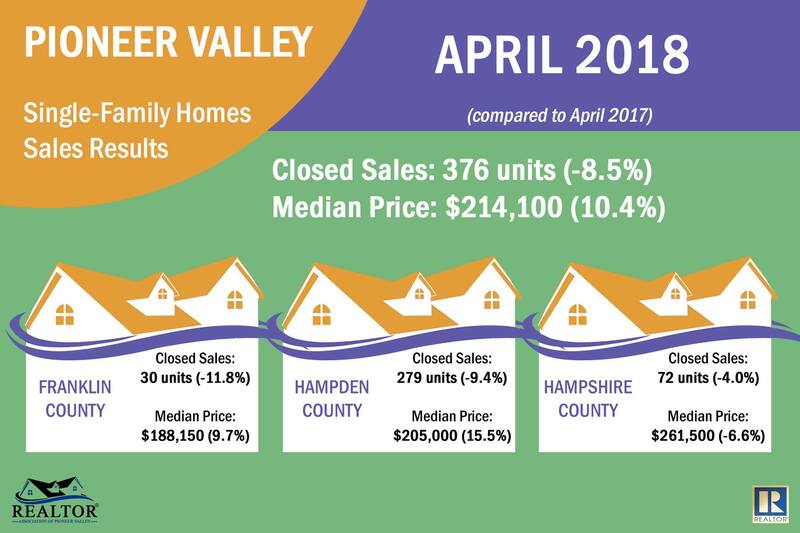 Check out the charts for detailed comparisons provided by Realtor Association of Pioneer Valley and Massachusetts Association of Realtors. 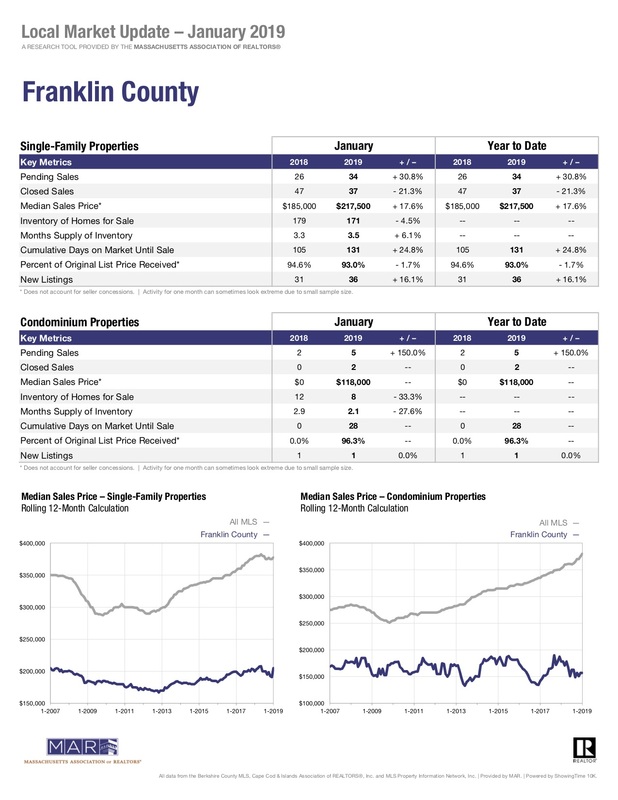 The month of July resulted in a robust real estate market for Franklin County! 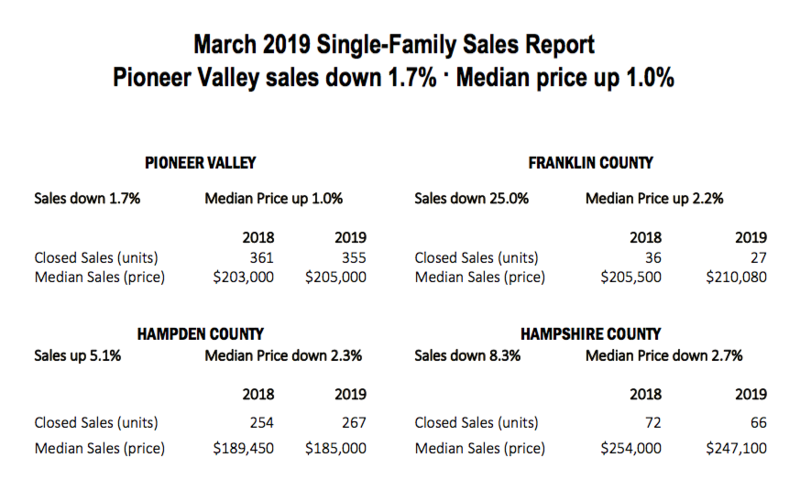 Compared to July of last year Franklin County beat the Pioneer Valley region with sales up by 15.4%. Sales - Up 5.3 percent from 586 in July 2016 to 617 in July 2017. 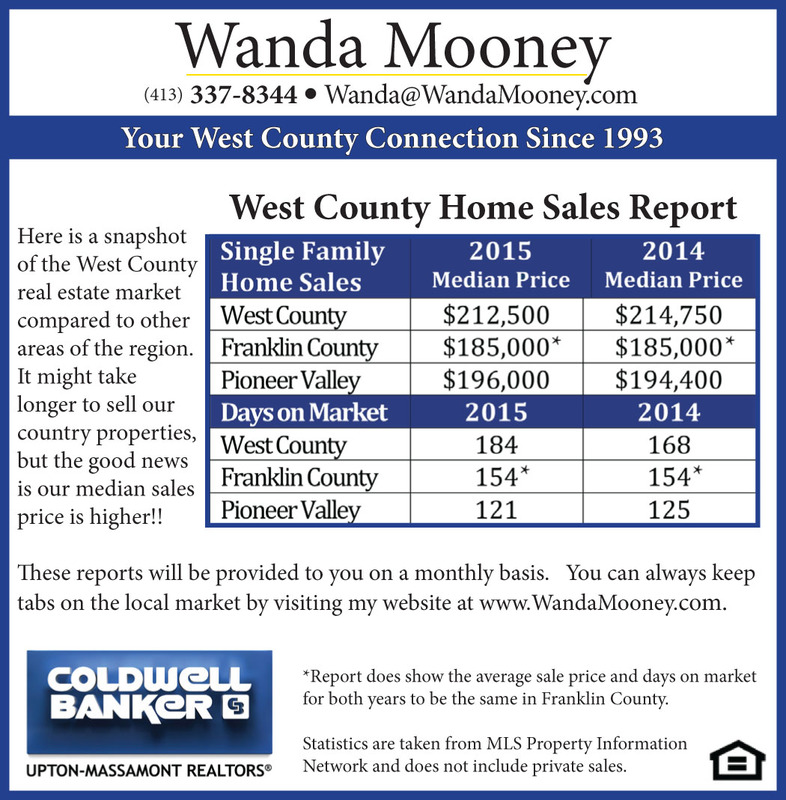 Median Price - Down 1 percent from $222,250 in July 2016 to $220,000 in July 2017. 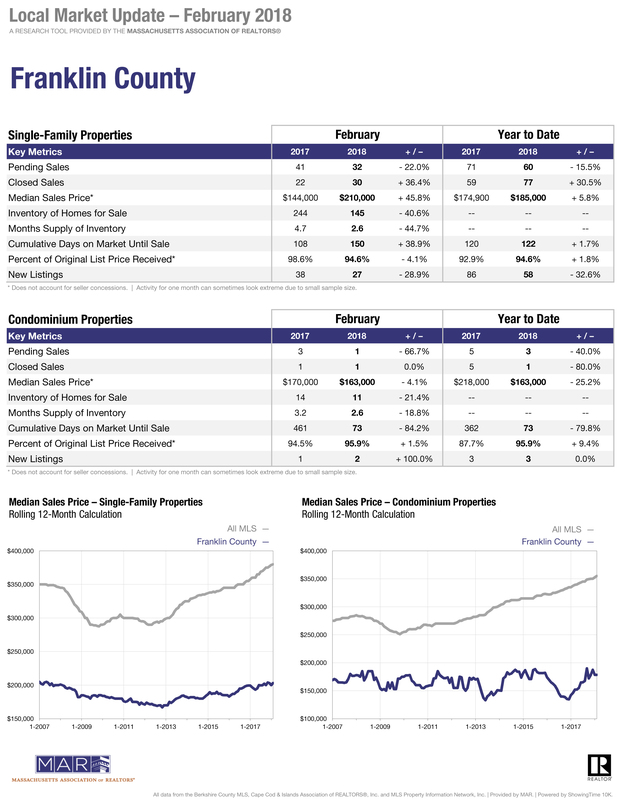 Inventory of available property - Inventory fell 28.4 percent from 2,536 single family listings at the end of July 2016, to 1,817 single family listings at the end of July 2017. Supply - At the end of July 2016 there were 5.4 months of supply at the current rate of sale. 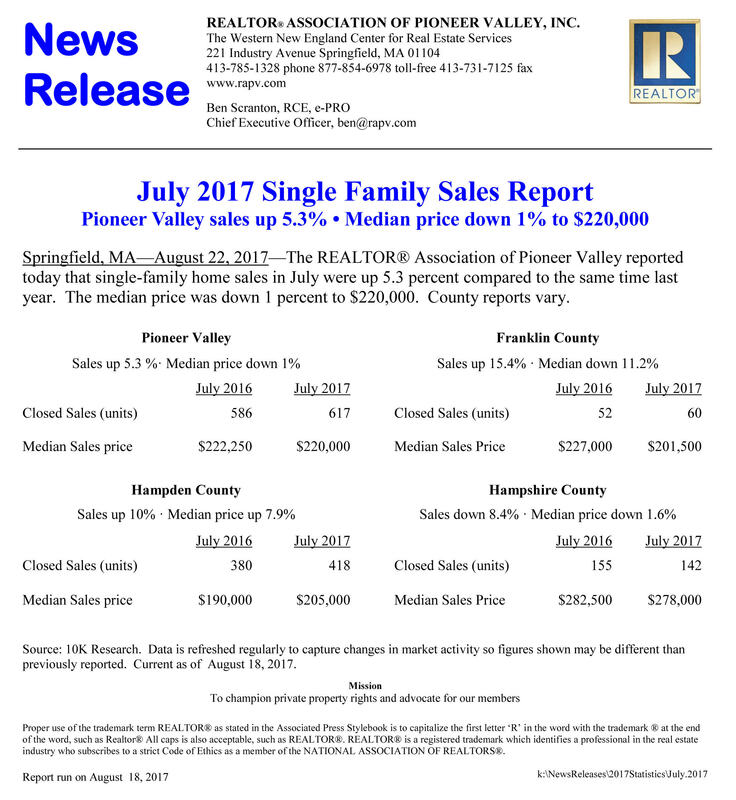 At the end of July 2017 there were 3.7 months of supply at current rate of sale. 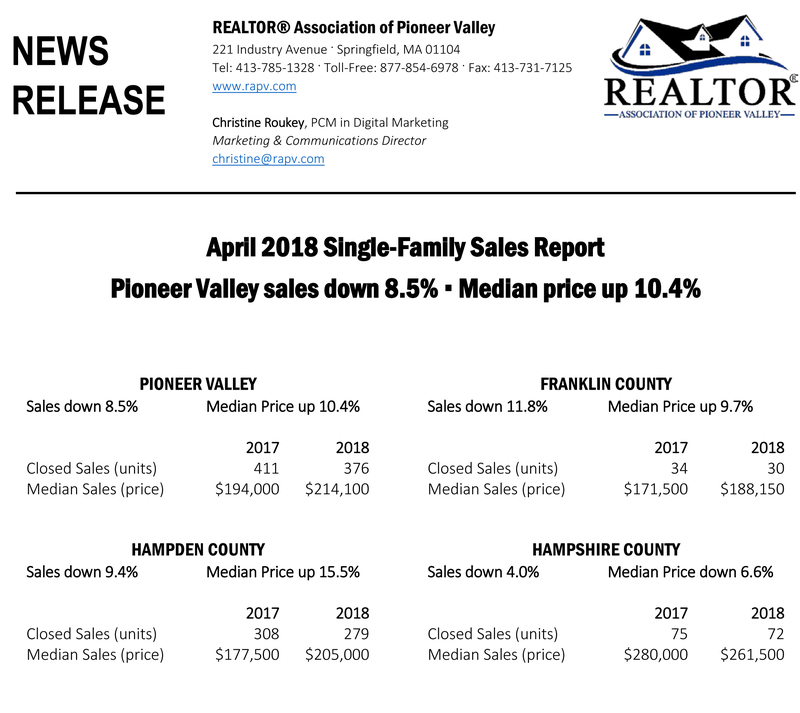 Days on Market - The average days on market dropped 36.3 percent from 99 days in July 2016 to 63 days in July 2017. 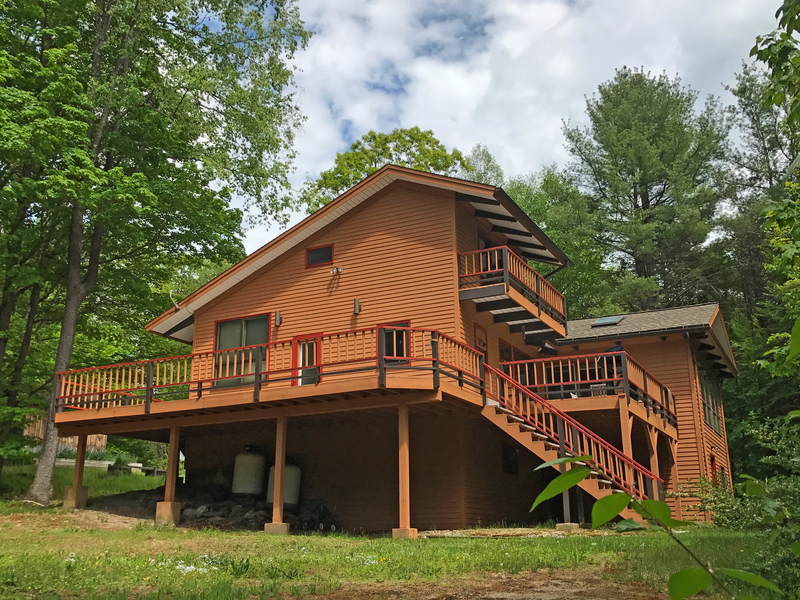 Pending Sales - Listings which are pending (under agreement to sell) are up 24.6 percent from 505 in July 2016 to 629 in July 2017.